In Washington State, property owners have legal responsibilities to people coming onto their property. However, the responsibilities owed are different for trespassers, guests, patrons and tenants. In short, what steps a property owner must take in order to protect you while you are on the owner's property depends upon your reason for being there in the first place. If you are a trespasser and have no invitation to be on the premises of another, the owner of the land merely has the duty to refrain from causing you any willful or wanton injury. If you have been invited onto someone else's property as a member of the public or as a business visitor for the purpose of conducting business, the owner of the property has greater duties to you. The owner of the property has a duty to discover any dangerous conditions on the property and must either repair the dangerous conditions or warn you about them. If you are a social guest or on the land with the owner's permission (but not a business invitee), the land owner is liable for a dangerous condition on the land if, but only if, (a) the owner knows or has reason to know of the condition and should realize that it involves an unreasonable risk of harm to such social guest, and should expect that the guest will not discover or realize the danger, and (b) the owner fails to exercise reasonable care to make the condition safe, or to warn the guest of the condition and the risk involved. If you are a tenant, your landlord has the duty to exercise reasonable care to inspect and repair common areas, stairways and passage ways under the landlord's control. If you have been injured on someone else's property, you may have a claim for damages arising out of the negligence of the landowner. It may be possible for you to recover for your medical bills and expenses, as well as for your pain, suffering and permanent injury. If possible, find out what condition caused the injury. Was there a broken handrail, water on the floor, a defective light or other condition? You should take photographs, if possible. Identify witnesses and get their names, addresses and telephone numbers. Get the name, address and telephone number of the property owner. Try to obtain information regarding the owner's insurance. Find out whether the owner has any "no fault" medical insurance that could be used to pay your medical bills. If an accident report is made, be sure and get a copy of it for your records. 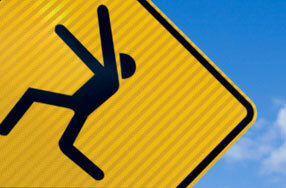 You should seek prompt medical attention for your injuries. Sometimes injuries take several hours or even a few days to become symptomatic. It is very important that you have your injuries - and their cause - documented by a medical doctor. Do you need a premise liability lawyer? Maybe not, but consulting with an experienced personal injury lawyer is usually a good idea. Our Seattle attorneys at Kraft Davies, PLLC are ready to help. We will give you a free case evaluation and discuss your specific options.